Liina is originally from Estonia, where she started practicing yoga 18 years ago. She comes from a business background (read: work hard, play hard) and her “no pain, no gain” attitude slowly but surely was leading her towards a burn-out in her late 20s. The only constant in her hectic (self-destructing) lifestyle was yoga, which gradually was sprouting questions and longings that she had not felt before. In 2007 she took a sabbatical, travelled through India and Asia and by the end of that year through a series of coincidences she found herself at a yoga teacher training course in (magical) Byron Bay, Australia. She’s never looked back since! She started teaching in 2008 at Byron Yoga Center, the same year completed her 500hr Teacher Training. After 2 years in Australia she followed her gypsy heart and kept exploring, teaching, practicing and learning. In 2014, life landed her in Berlin, where she has grown some roots along with a vibrant international yoga tribe. Her yoga today is influenced by lineages like hatha, vinyasa, anusara, yin, Iyengar and restorative yoga, always coupled with mindfulness techniques. Her most recent calling is a slow, contemplative yin yoga. Her heart’s mission is to use slower practices as a way to pause, to become curious and let yoga move us towards more meaning, greater passion for life and deeper understanding of ourselves and others. 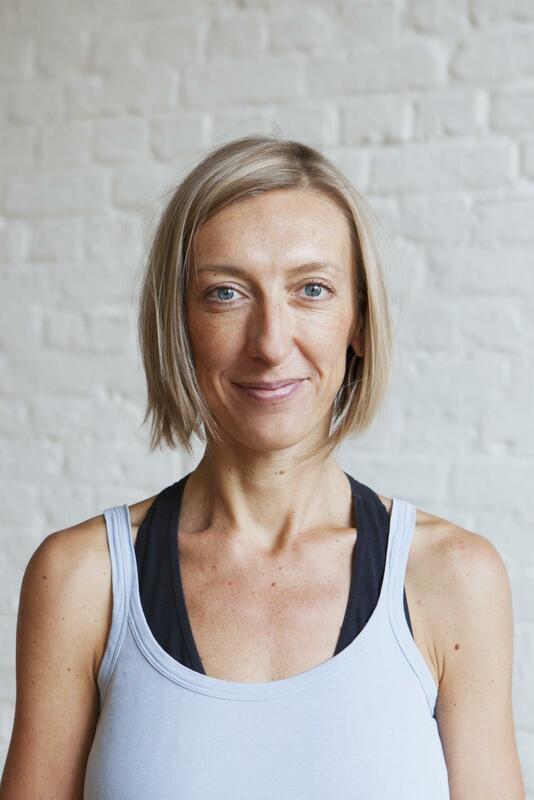 Liina’s vinyasa classes are a creative flow through asanas focusing on alignment and breath, combining movement and stillness, aiming at creating strength without tension and motion without rushing. She is precise and detailed in her instructions, she likes to kindly offer challenges for those who are up to it, but is never too serious about her practice or yoga or life in general. Yin yoga practice has transformative effects on body and mind. The gentle but consistent stimulation of the connective tissue encourages long-term health and flexibility of the joints, recharges the energetic system of the body and naturally draws the mind inward into a relaxed, meditative state. In practice, Yin Yoga class consists of a series of passive floor poses held for several minutes followed with rest intervals. It complements extremely well more dynamic forms of exercise and more importantly – a Yin style practice brings balance to a busy action-packed lifestyle. Yin yoga integrates the yogic practices from India, with Chinese meridian theory and Buddhist mindfulness practices into a wholesome way to bring health, vitality and wakefulness into your daily life. The deeply relaxing nature of this practice will cool down your body, so be sure to wear warm clothes (and maybe bring socks). Restorative yoga is R&R (Relax & Renew) on the mat. It is a SACRED PAUSE. Minimum effort on your part with the maximum benefit for the body and mind. Using props and support, so that you can stay in poses for longer without any strain or effort, totally surrendering to gravity and letting everything drop. It’s hitting a “pause” button to breathe more deeply, while the easy restorative yoga poses gently open the body in a unrushed and gentle manner, helping us learn to relax and rest deeply and completely. During this kind of deep relaxation, all the organ systems of the body are benefited, the mind slows down, the breathing finds it’s natural rhythm. A perfect finish to a week and start to a weekend – unplug, restore, relax and recharge! The deeply relaxing nature of this practice will cool down your body, so be sure to wear warm clothes (and maybe bring socks).